Most Hastings College students who walk across the stage at graduation and receive their diploma made it there in four years. It’s something students want—and so do we. It’s so important to us, we’ve created a four year graduation guarantee. The guarantee means your advisor will encourage and guide you in what you need to graduate and reach your goals. But it also means you’ll strive to reach that goal, too. Graduating in four years is doable. Let’s make it happen! For first-year students enrolling at Hastings College, we guarantee we’ll offer the courses and the advising you need in order to complete your degree and graduate within four years. If you cannot finish on time because we did not offer a course you needed—or you missed taking one because of an advising oversight—we’ll either waive that requirement, offer a substitution or allow you to take the course free of charge the next time it is offered. You’ll sign our “Four-Year Understanding” early in your first semester so you know how we’ll help you reach that goal, and that you understand your part, too. It’s OK to come to Hastings unsure of your major! The guarantee still applies as long as you declare a major by the end of your third semester. If you are unable to declare a major, or change your major after that point, we will not be able to guarantee you’ll graduate in in four years—but will do our best to still make it happen. 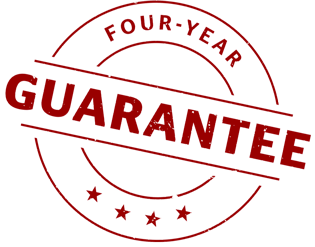 While many students double major and graduate in four years, the guarantee can only apply to a single major. We expect you to know what you need to do in order to graduate in four years. You can do this by having informed discussions with your advisor and working within the College Catalog. You will need to stay in good academic standing and make consistent progress toward your degree. This includes maintaining continuous enrollment for the duration of your four years on campus. During your senior year, you’ll attend Gradfest, where we cover specifics on graduation itself. We expect you to register for classes during your registration period each semester and avoid any registration holds or restrictions. Some majors—such as Music, Education and Accounting—require a heavy course load, and some majors—especially in the sciences—are highly sequential. Be aware of this and plan accordingly early in your academic career. Your advisor can help. If you are interested in studying abroad—great! You can make that happen, but you’ll need to work closely with your advisor and the Associate Vice President for Academic Affairs to understand how it fits in with your graduation plans. The guarantee excludes majors that require coursework at other institutions. Changing majors after the third semester, or simply deciding to extend your time at Hastings College, means the guarantee no longer applies to you. Contact your admissions counselor today!